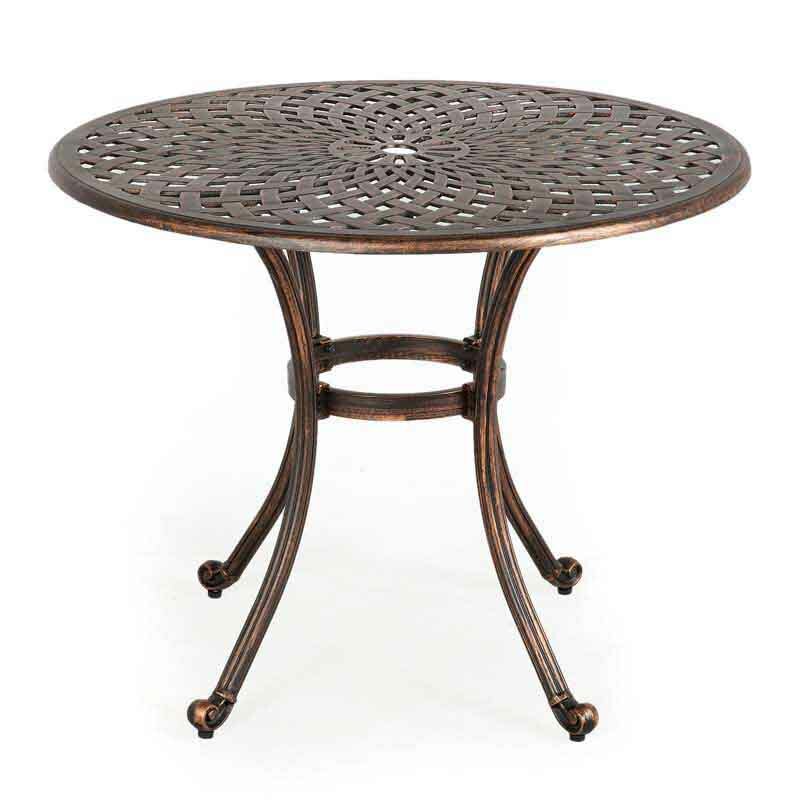 This attractive Ellister Regency 90cm Cast Aluminium Round Table will complement any style of garden. 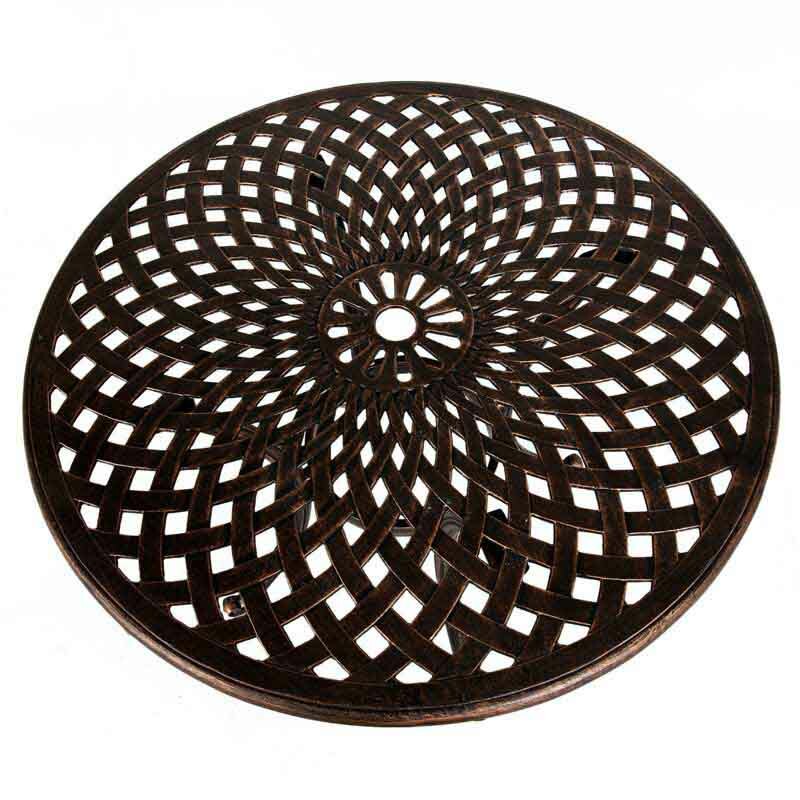 It is a beautifully designed table that is perfect for morning coffee or dining al fresco with friend and is sure to attract admiring comments. Handily, it also has a central parasol hole should you wish to shelter from the sun. 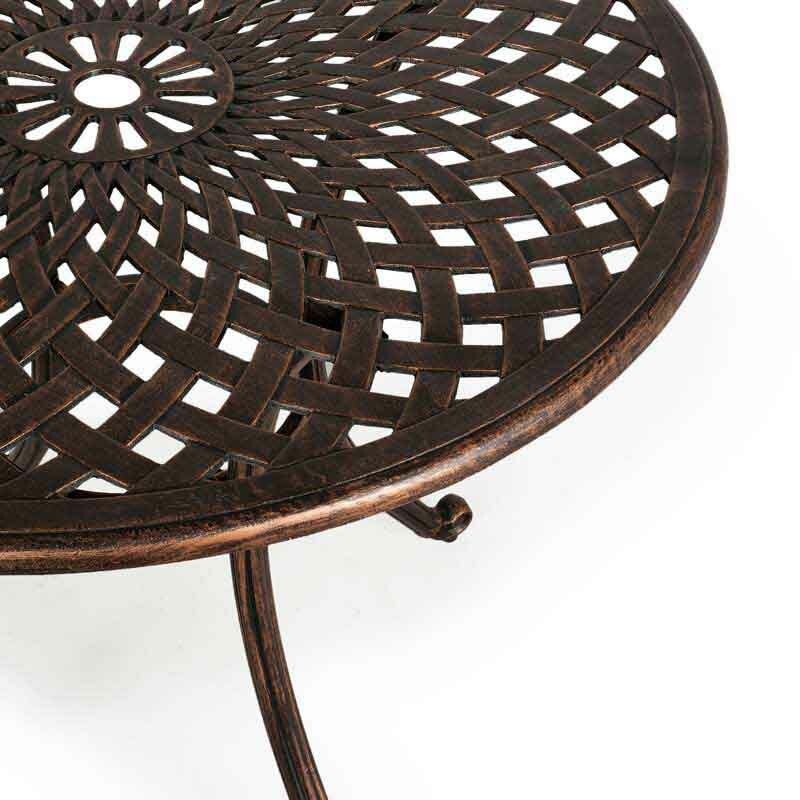 Manufactured from cast aluminium, making it strong, durable and weather resistant, this table is coated with a polymer based UV protected electrostatic powder spray which means that it is maintenance free – a must for garden furniture. This is a lovely table for a small patio, quite heavy so very secure and finish is great, we are very pleased with it. Just what I wanted. Excellently packaged. Easy to assemble. Looks good. Perfect table and a reasonable size. Love it. Great table, good mid size. Item arrived on time and well packaged. Wanted a larger table than a bistro table and it is perfect. Looks stylish and well made. Thank you. Very happy with this table, sturdy and a useful size. The table arrived on time and was easy to assemble. 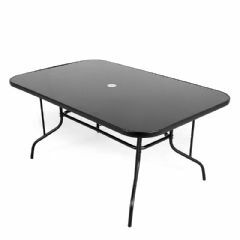 It is a sturdy table and I like the adjustment on the feet to make it stand solidly. It is a good size and I like the bronze effect. It has been out in the recent good and bad weather and still looks as new.  I would recommend this product. Excellent product. Very good value. I am extremely pleased with the purchase. Easy to assemble. Delivery was as you said and I was kept informed of its progress along the way. All excellent service.